摘要 近年来，医患关系以一种高风险、高关注度、高扩散性的多种医患危机事件呈现出来。本文描述了我国医患危机的生成及呈现的特点，提出主观医患危机新思维，加强医院危机管理信息化建设，结合PDCA循环的中国医患关系危机管理体系，从而对医患危机进行有针对性、有技术支撑、全方位的系统管理，对促进医患关系和谐发展具有重要意义。 The Doctor-patient Relationship completely presented many forms of doctor-patient crisis that expressed as high-risk, high degree of concern and high diffusivity today. 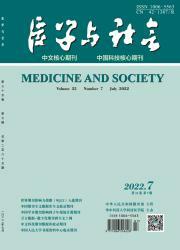 This article describes the generation and new features of doctor-patient crisis in China. Put forwarding crisis management system of Doctor-patient Relationship in China should be built, that need us construct the new thinking of doctor-patient crisis and strengthen the hospital crisis management information, then combine with the PDCA cycle. So we ean take out targeted, technical and full range of systems management. It is meaningful that promote the harmonious development of Doctor-patient Relationship.